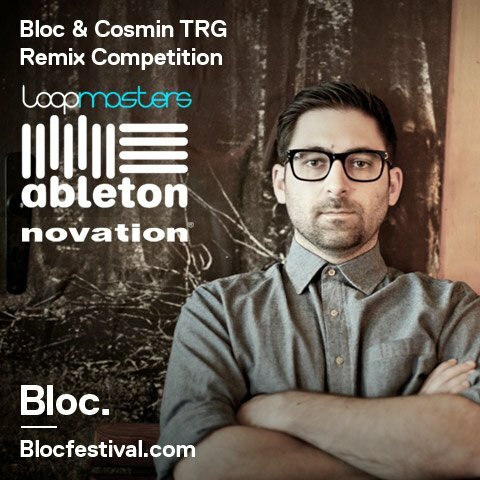 In anticipation of Bloc Festival 2012, we've teamed up with Cosmin TRG, along with our friends at Bloc, Loopmasters, Novation and Live-Courses.com, to present a new contest opportunity and free Live Pack. Download a free Live Pack featuring new and exclusive sounds from Cosmin TRG, then enter your remix by June 22. The grand prize package includes two passes to Bloc (July 6 and 7, in London), Ableton Suite 8, five sample packs from Loopmasters, professional mastering of the winning track from Loopmasters, a special Bloc-edition Launchpad from Novation, and a course of your choosing from Live-Courses.com. Want in on this? Get the full run down and download the Live Pack from Loopmasters.